Real estate giant Tishman Speyer and its partner, BlackRock, lost billions of dollars when their much-vaunted purchase of Stuyvesant Town–Peter Cooper Village in New York City failed to deliver the expected profits. But how did Tishman Speyer walk away from the deal unscathed, while others took the financial hit—and MetLife scored a $3 billion profit? 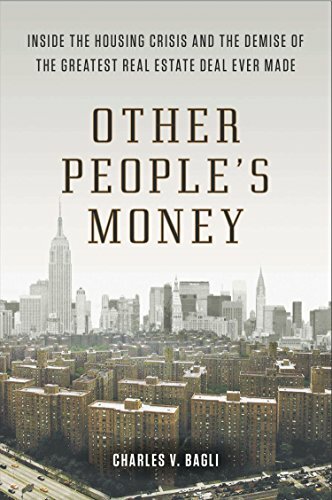 Illuminating the world of big real estate the way Too Big to Fail did for banks, Other People’s Money is a riveting account of politics, high finance, and the hubris that ultimately led to the nationwide real estate meltdown.